By replacing existing sign lighting with LED units we’re saving clients money and reducing CO2 emissions. 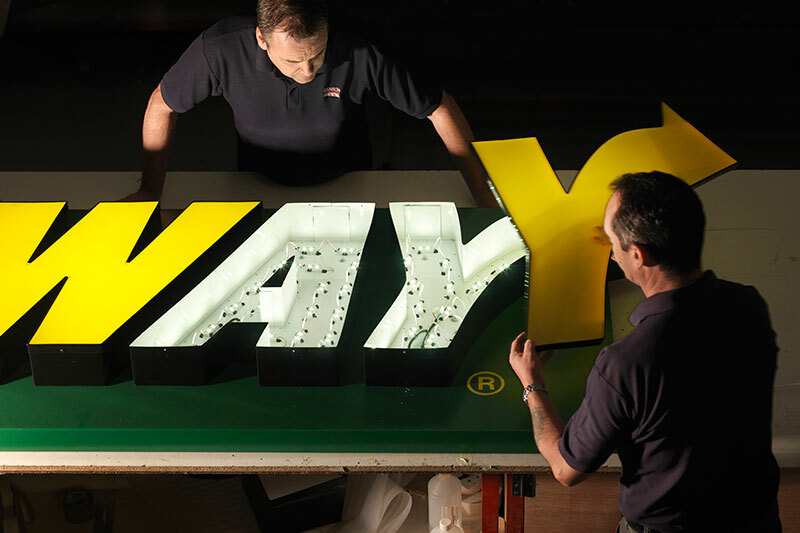 Over the past 2 years, we have been rolling out a large-scale programme of retrofit LED conversions to Subway Stores throughout the UK.The signage industry has embraced the benefits of LED use over conventional neon and fluorescent tube technology, but none more so than us, here at Benson Signs. While the technology was in its infancy we were experimenting and developing how best to maximise their advantages, as part of our goal to be the greenest sign manufacture in the UK. In 2002 we installed our first LED sign in Knightsbridge, London. Reduced service costs - Increased lifespan of the unit - Enhanced light output - Instant light quality, where others require warming up. Lastly, and most significant of all: Dramatic increase in energy efficiency - Low carbon emissions - Reduced electricity bills. 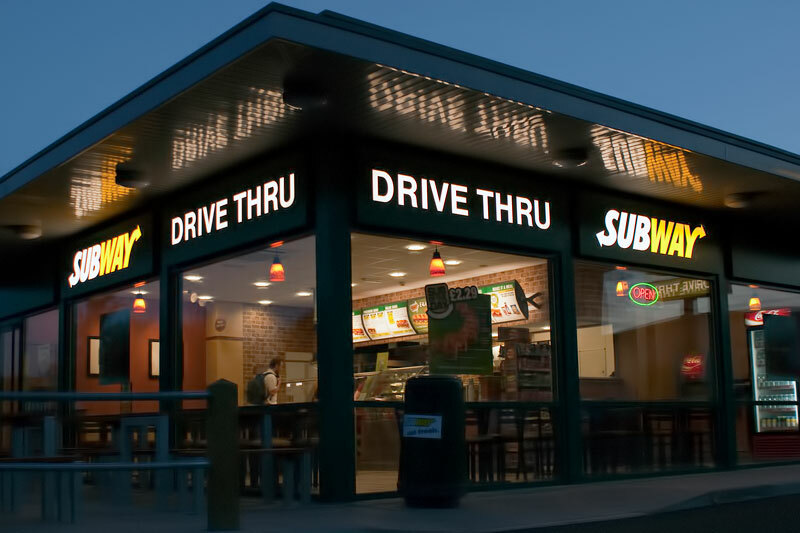 Over the past 2 years, we have retrofitted over 20 Subway stores with 43 LED illuminated signs, generating annual cost savings in the region of £20,000. This equates to just under 100 tonnes CO2 per year, the equivalent of 2000 young trees growing over 10 years. The average savings on energy bills of the signs will provide a Return on Investment in the region of 2 years. Managing Director, Chris Benson said, "Converting conventionally illuminated signs is a WIN, WIN, WIN situation for the client, ourselves, and most importantly the environment." For further information, please feel free to telephone us on 0151 298 1567 to discuss how you could make savings with L.E.D. Illumination. Retro fitting LED lighting saves clients money on running costs.